The accommodation that this private villa offers is nothing short of first class. 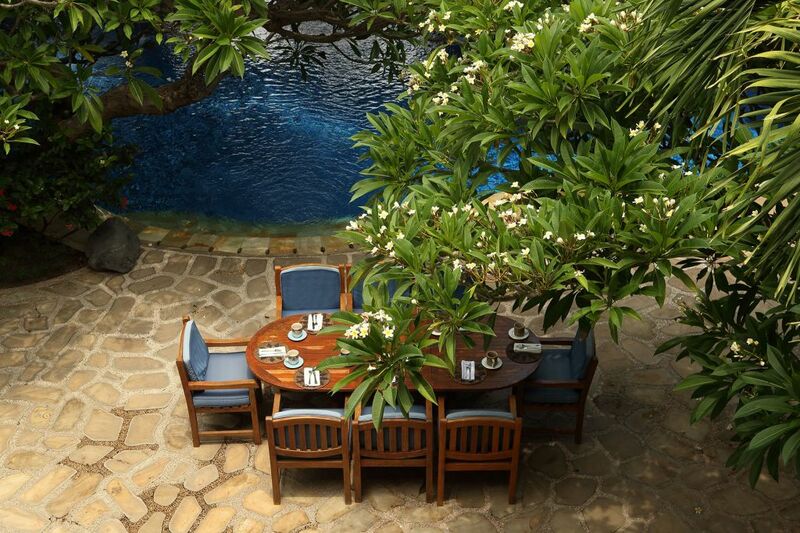 The informative Balinese staff will pamper you in every way and take care of all your needs. Villa Pantai is a modern yet classic, elegant, yet relaxed, allowing you to escape the limits of time and immerse yourself in the most indulgent of experiences. This is unpretentious luxury in uncommonly beautiful surroundings. 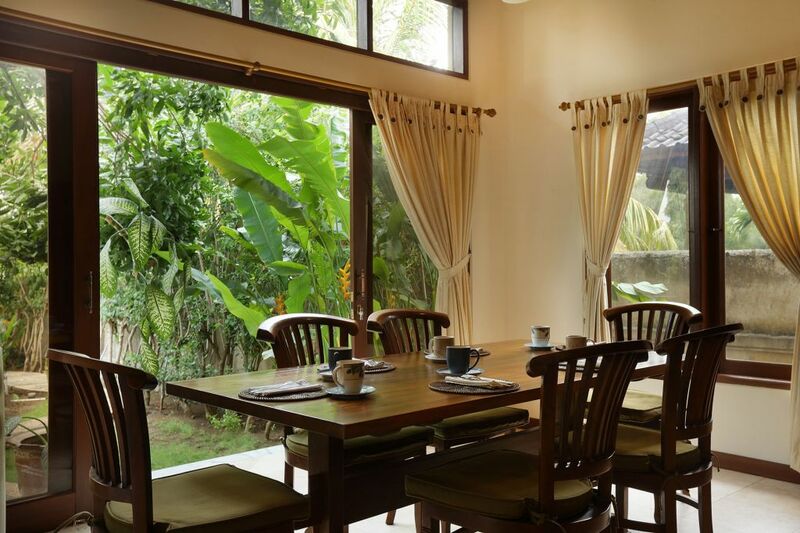 This is a unique Private Bali Villa Rental opportunity. Amed is the perfect getaway and our villa will assure you a trip of a lifetime. This coast is Bali’s easternmost point, which is highlighted with spectacular sunrises over the neighboring island of Lombok and the hundreds of brightly painted jukungs (fishing boats) returning to shore in the early mornings. Enjoy a cup of tea early in the morning from the villa’s second story balcony and witness some of the most incredible sunrises. If you are lucky you will catch a glimpse of dolphins right off the beach playing in the waters. Most people would agree after spending some time in Amed that this is Bali’s best-kept secret. 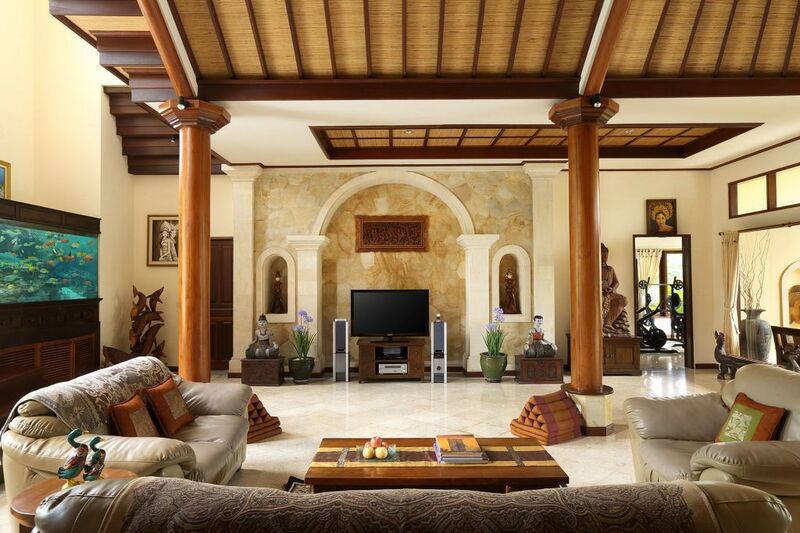 Villa Pantai offers nearly 7000 sq ft. of secluded luxury on 1.5 acres of private beachfront. 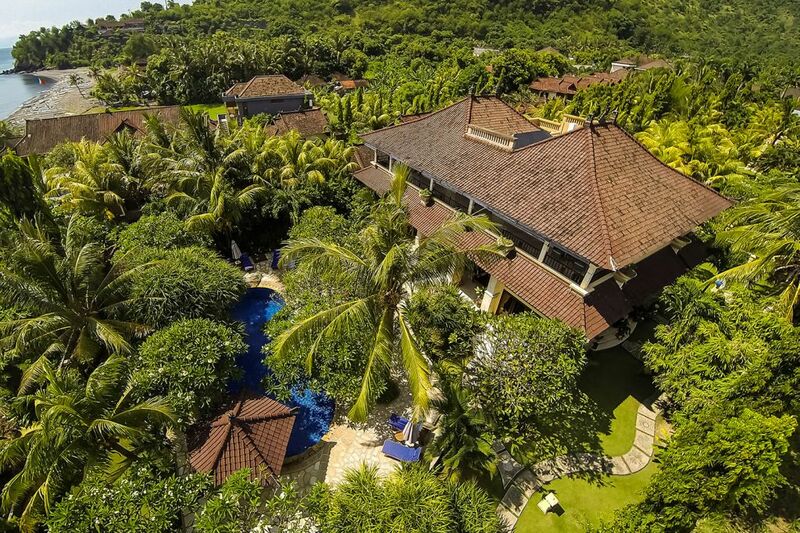 Boasting four spacious suites with spectacular views, A/C, and 4.5 full, modern Western bathroom facilities, Villa Pantai is the essence of true luxury!. All suites have heavenly views of the sea and mountains. For an added convenience there is a laundry facility available in the villa. The kitchen is fabulous. Granite countertops, seating for 8 – 10 people, stainless steel appliances, gas stove with oven, and other modern conveniences - all surrounded by windows facing the beach, gardens and swimming pool area. The kitchen flows into the adjacent living area - with plush leather couches, koi pond, media center (boasting 60" plasma TV with an extensive DVD collection), and 650-gallon saltwater aquarium filled with colorful, local species. 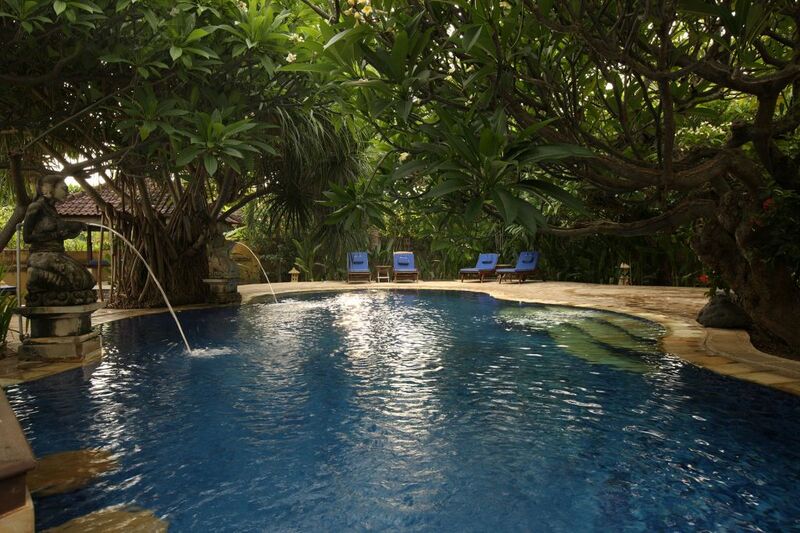 Wander the villa and enjoy the collection of local Asian artwork and intricate carvings. There is a grand billiard hall with an adjoining, state-of-the-art fitness room. Cool off on a raft in the sleek, lighted, 50ft. swimming pool. Enjoy a traditional Balinese massage poolside in the privacy of the shaded, open-air pavilion - a truly hypnotic experience. Teak furniture with cozy cushions surround the pool where you might relax, work on your tan, enjoy a good book or simply daydream listening to the waves lapping the nearby shore. Feeling active? Put on a mask and enjoy some of the most spectacular snorkeling you’ll ever experience in your backyard!. Santai (”relax” in Balinese) here at Villa Pantai: blossoming flowers, trickling fountains and abundant fauna add to the tranquility of this experience. Lose yourself in the beauty of the island and people here. Wander out to the front yard and feed one of 300 koi in the 60,000 gallon pond. Scheduled feeding time for our fishy friends is 9a.m. and 5p.m. We encourage you to feed them; they’ll be eating out of your hand by the end of your stay.